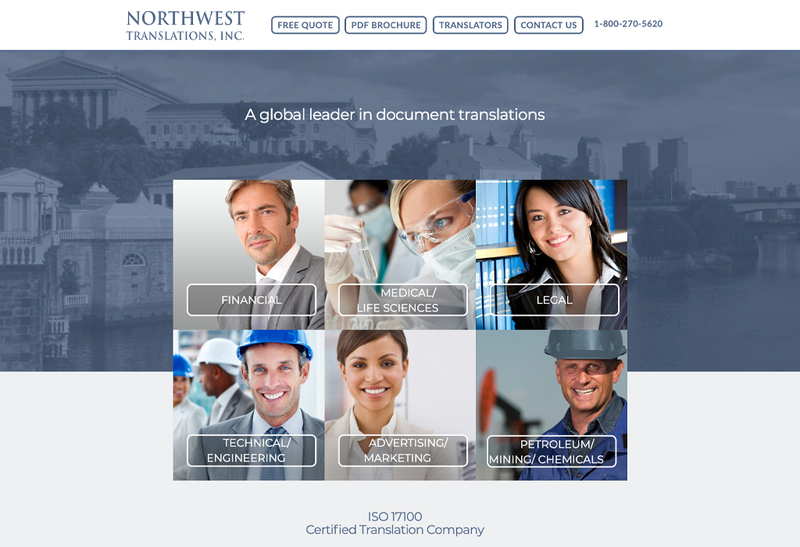 An update to long-time client Northwest Translations website, featuring a custom designed WordPress theme and a focus on simple, effective, straight-forward information design. 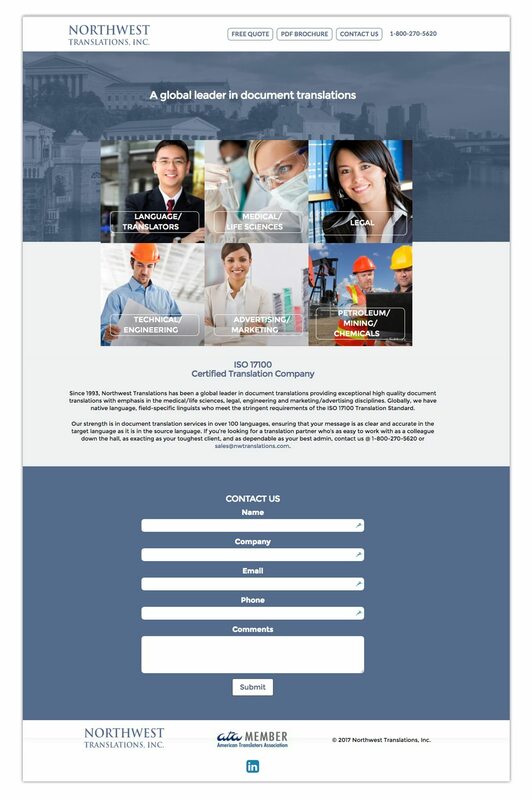 We implemented a photo-based navigation for the site pages, using the header for the call-to-action links, minimal page layout and contact forms throughout. 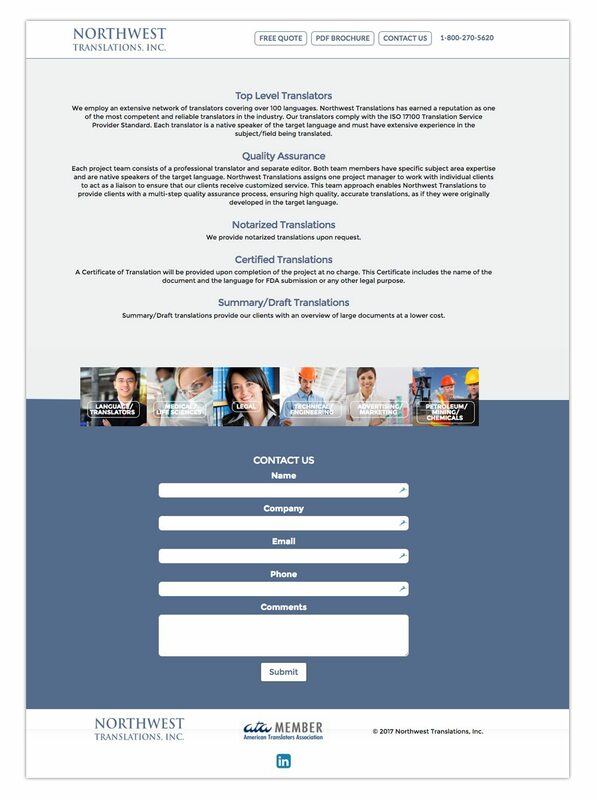 A simple, functional solution that works for client and customer alike.